The Princeton Theological Seminary Library Courtesy and Noise Policy applies to zones within the library as described below. 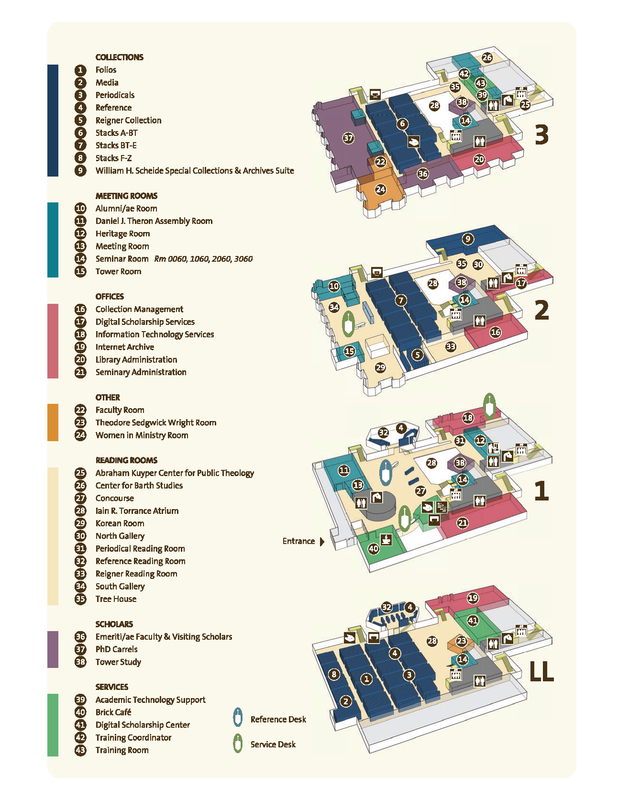 Please click on the image to view library locations by floor. For more about library locations, visit Maps and Directions.